Q: What is an electric tankless water heater and how does an electric tankless water heater work? A: An electric tankless water heater is a small device that can be mounted on a wall. It heats water as water passes over electric coils. Q: I hear electric tankless water heaters will save money on my electric bill, is that true? A: Electric Tankless Water Heater manufacturers have claimed a consumer will save 30% to 50%. But according to the Tennessee Valley Authority (TVA), an electric tankless water heater could save an average consumer about $30 per year on electricity. Unfortunately, the average electric tankless water heater needs at least 120 amps to operate and the average household’s total capacity is 200 amps. This means you will have to upgrade your electrical system to accommodate for the larger load demand, which could cost you up to $1,500. Also, electric tankless water heaters require additional equipment to be installed by the Cooperative at the meter base. This added equipment costs approximately $2000 more than the equipment needed at a member’s household using a conventional electric water heater. To be fair to all members, this cost must be passed on to members installing an electric tankless water heater system. In addition, conventional tank-style water heaters have increased in efficiency in recent years to up to .94 energy factor ratings, making an electric tankless heater not as attractive of an option when it relates to energy efficiency. Q: Will an electric tankless water heater work on my current electric system? A: Electric Tankless water heaters usually require substantial and expensive upgrades in your system. The Seisco Model RA-28 for instance has four 7,000-watt elements for a total electrical load of 28,000 watts. This extra load requires at least 120 amps. 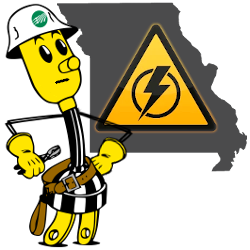 The average home has a total capacity of 200 amps, which means an upgrade would be needed. As stated earlier, it is possible these upgrades could cost a member up to $1,500. Also, electric tankless water heaters require additional equipment to be installed by the Cooperative at the meter base, which could cost approximately $2000. To be fair to all members, this cost must be passed on to members installing an electric tankless water heater system. It is typical for lights to dim or blink when an electric tankless water heater kicks on which is also a problem. Q: Are electric tankless water heaters easy to maintain? A: Electric tankless water heaters are so new, it could be difficult to find a technician to work on one. Q: Does an electric tankless water heater system always produce hot water on-demand? A: The simple answer is no. An electric tankless water heater only works on-demand if the heater is installed close to the faucet that you are using. Another concern is that an electric tankless water heater needs a water flow rate of .5 gallons to 2 gallons per minute to heat water, so your faucet has to be turned on high to produce hot water. Also, when incoming water is colder during winter, or as the amount of water flowing through the unit increases, the temperature of your hot water will decrease. For instance, if you are washing clothes and using your shower, you may not have hot water at both places. Q: Will an electric tankless water heater match the performance of a tank-type water heater? A: According to the Partnership for Advancing Technology in Housing (PATH), and supported by Housing and Urban Development (HUD), further testing is needed to determine if electric tankless water heaters will match the performance of tank-type heaters. A known fact is that traditional tank-style water heaters now have efficiency of up to .94 energy factor ratings, making an electric tankless heater not as attractive of an option when it relates to energy efficiency.